Farewell Dinner in Top Class Venue TO THE TABLE MEA. Industry news for your specific industry sector. With enviable views over the Dubai Fountains and Burj Khalifa, The Address Downtown Dubai is ideally situated for delegates to enjoy the most highly acclaimed surroundings in Dubai. We start the Drinks Reception with a sumptious selection of canapés, to be enjoyed in the exquisite surroundings of the foyer and balcony overlooking the city's most iconic view. We move delegates into the luxurious ballroom, with floor-to-ceiling windows, timed perfectly as the dramatic Dubai Fountains performace starts. As we sit down to an impressive dinner with impeccable service, we can enjoy the wines carefully selected and provide by our wine sponsr for the evening, Castell del Remei & Cervoles. 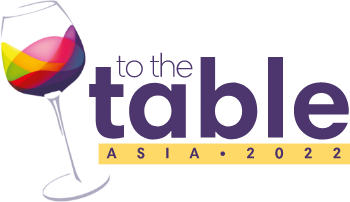 The Address Downtown Dubai are excited to be our hosts for the evening and promise an innovative vibe for the TO THE TABLE EMEA 2015 Farewell Dinner. Invitations will be sent in May to the F&B industry's leading companies. Buyers and suppliers are signing up with great excitement as we head for the picturesque Shangri-La Barr Al Jissah Resort in Oman. 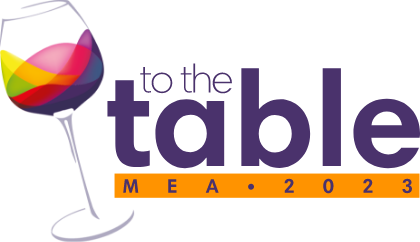 With record attendance and outstanding positive feedback, TO THE TABLE MEA 2016 was a great success for all attendees. Have you noticed that the TO THE TABLE MEA 2016 Buyer List is now live?